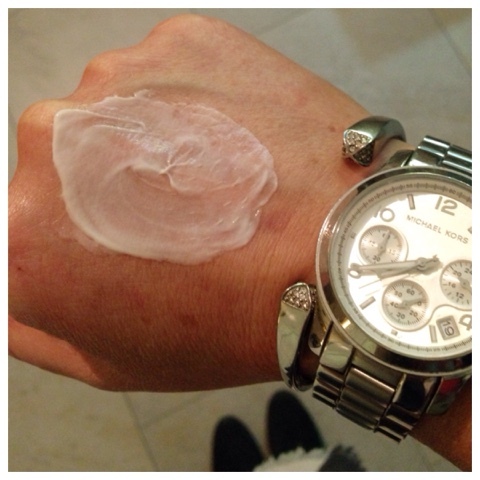 I love fake tan and feel so much better with a bit of a glow - all year round. It's long been a conflict of mine - the desire for a colour versus the questionable ingredients....especially on the face, where the skin is so different to the rest of your body. 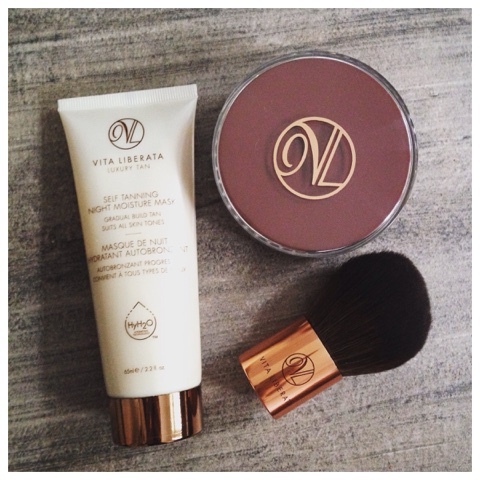 In my experience, facial specific tans are disappointing in terms of the amount of colour they give and also the drying effect they have on the skin so when Vita Liberata sent me two of their facial products to try, I was a bit sceptical as to how good they would be. I was wrong - they are seriously impressive. First up, both of these products have been rated ‘0' by Think Dirty, the independent rating system which gives a simple overview of the health impacts associated with products and their ingredients on a scale from 0 – 10, 0 being the best (cleanest) and 10 being the worst (dirtiest). Now this is impressive for tan products and definitely ticks my boxes for ingredient quality. The mask was the one I used first and continue to use about 3 time weekly. The consistency is a little heavier than a lotion but it has a little bit of a primer feel to it too, so it does feel more like a mask when applying. The smell is tricky to describe but it's not unpleasant at all - not a perfumed smell but not a tan smell either. But the best bit is that it's full of skin benefits as well as tan - Organic Sunflower Seed delivers Vitamin A, C and D for calming and protection, while Tocopherol protects against free radical damage and Apple softens fine lines and wrinkles. Next day, there is definitely a tan visible. So many facial tanners are too light but this gives a good colour - not just a glow...and definitely allows for less make-up. 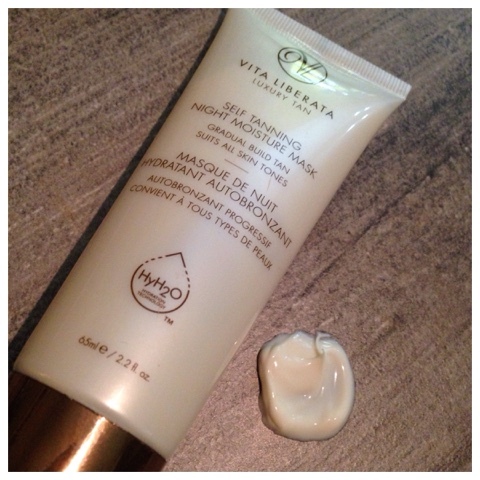 It's most certainly the best facial tanner I've ever used by a considerable margin. 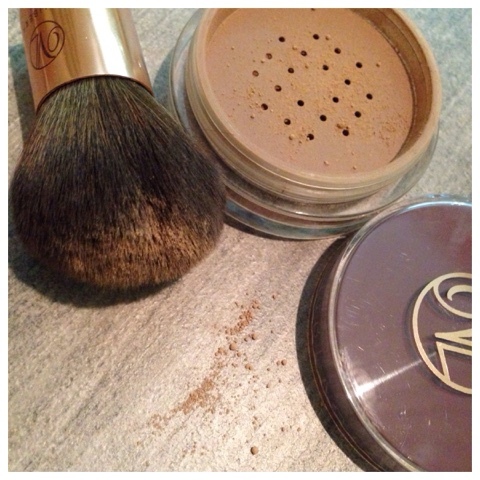 The Bronzing Minerals come in a loose powder form along with an excellent Kabuki brush (super impressive as so often, free brushes you get with products are useless). This loose mineral powder combines an instant pure mineral bronze colour with long lasting self tan results for a beautiful, medium tan that lasts for days. The main guidance for using this product is that the skin is tacky when applying so you apply it over moisture or foundation, to activate the tanning effect. I've used this as my bronzer since I received it, wearing over foundation on my cheeks/forehead etc. It's complimented my mineral foundation (more info in my next post) really well and my skin loves it. I will say that wearing it over foundation does minimise the longer term self-tanning effect you would get if you used it on bare skin but I don't mind that as I've a bit of colour from the mask already. I'm really using this bronzer as a contouring tool. The smell is something that I wanted to mention as I've not used loose mineral foundation before so I was used to more perfumed powders. This definitely has a metallic scent going on - not unpleasant at all but if you also already use perfumed products, you might not expect that. These two products have hugely improved my facial skincare routine. Previous to this, I was using entirely clean products on my face - apart from facial tan and bronzer. I suspect some of my break-outs were directly resulting from this as my skin has been used to having nourishing quality products up to a point and then I was undoing lots of that good in the tanning process. And the best bit is if you're interested in trying these products, there's a great offer on at the moment where you can get both together for £55 - a saving of £10. 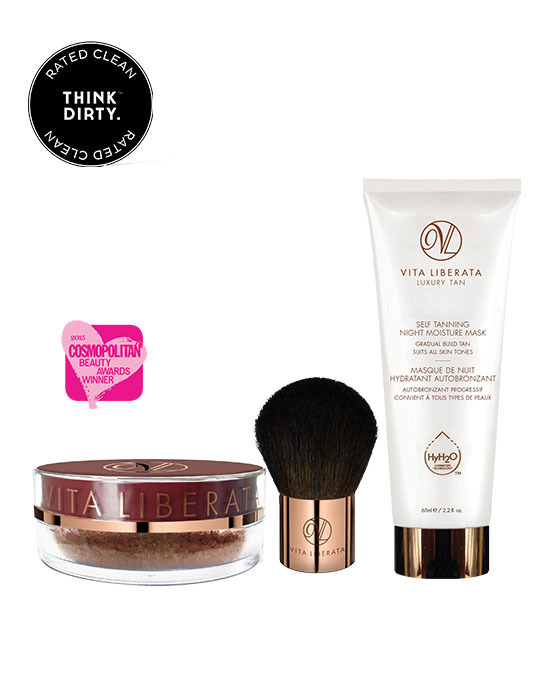 Lastly, Vita Liberata is actually a local brand, founded by Northern Ireland entrepreneur Alyson Hogg - an inspirational award winning businesswoman. You can read all about why she started up the company on Alyson's own blog here. My next post will feature the holy grail of beauty products - foundation. I've found my ultimate one and it's mineral based, clean and had gorgeous coverage. What more could I ask for? !